Giving away the ''Parlandu'' award for musical-instrument makers instituted by Parivadini to mridangam maker C Varadan, percussion maestro Srimushnam Rajarao related some fascinating anecdotes involving past masters of Carnatic music, though his was a 'tani avartanam' too long by a distance, eating into the time of Ghatam Karthick's lecture-demonstration that followed. 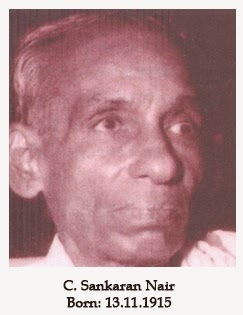 Varadan had been a regular supplier of the instrument to the late CS Murugabhoopathy, and several other leading mridangists. 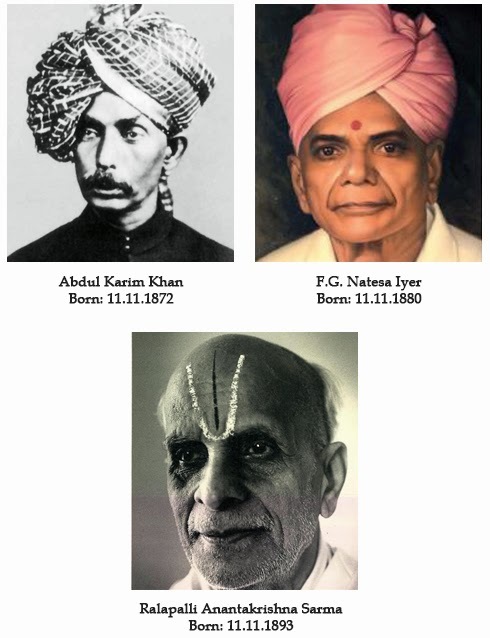 Among the inspiring stories Rajarao told was one demonstrating the great respect the incomparable Palghat Mani Iyer had for Pudukottai Dakshinamurthy Pillai, the khanjira pioneer many vidwans regarded as a divine avatar. Inevitably, the speaker expressed his admiration for the left-handed genius Palani Subramania Pillai, and recited some of the phrases and syllables that contributed to the magic of Palani. One of the anecdotes real or apocryphal related to Parlandu (a corruption of Fernand), the Dalit mridangam maker whom Mani Iyer invited into his house to honour him with a shawl, even as he waited outside like the legendary Nandan at the threshold of the temple. 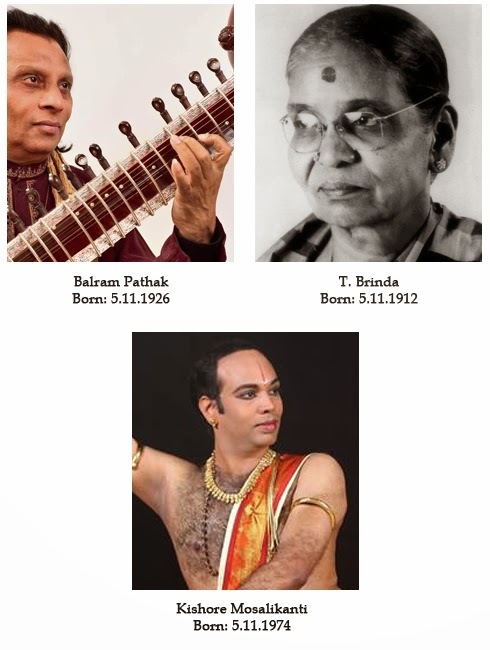 The stories brought back refreshing memories of the healthy relationship and strong bonds between Carnatic music's giants of a bygone era, transcending barriers of caste and class. Parivadini, an online TV channel and a movement committed to the archiving of music, has been the brainchild of 'Lalitharam' Ramachandran, Carnatic music fanatic, author and documentary filmmaker, and Venkataraghavan Srinivasan, a reality show maker turned passionate music promoter via Parivadini. 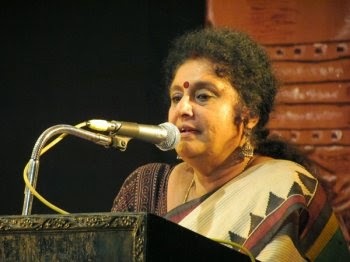 Two concerts of the Parivadini series stood out: one by Malladi Suribabu, veteran vocalist of the Pinakapani bani of music (which introduced the authentic Tanjavur style to Andhra), and another by Injikudi EM Subramaniam, a gifted and innovative practitioner of nagaswaram music in the forefront of his art. Suribabu, accompanied by M Narmadha (violin), Kamalakar Rao (mridangam) and BS Purushottam (khanjira), rendered raga music of great beauty in a deeply meditative exploration marked by resonance and fidelity. EM Subramaniam proved a fearless risktaker in both his choice of ragas and the exciting manner in which he traversed the octaves without sacrificing good taste. 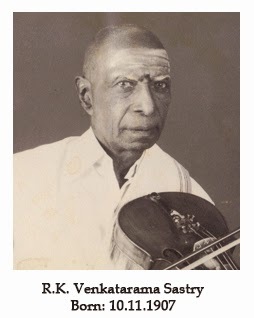 He had brilliant allies in violinist S Varadarajan, mridangist Neyveli Venkatesh and khanjira vidwan Venkataramanan. Chennai has already seen an excess of music pre-December season, but the Parivadini festival was a nice change from the usual fare. A pall of gloom has descended over the Chennai music season, with the untimely death of the mandolin genius U Shrinivas in September. More recently, 79-year old TR Balamani, a much respected guru belonging to the Mumbai school of Carnatic music teaching, passed away soon after moving to Chennai. In fact, the last couple of years have seen the irreplaceable loss of many senior vidwans, vidushis and gurus. Ten years ago, on 11th December, 2004 to be precise, MS Subbulakshmi, the crown jewel of Carnatic music, passed away, and 15 days later, the ruthless waves of the most destructive tsunami in recent memory wrought death and devastation upon coastal habitations across continents. 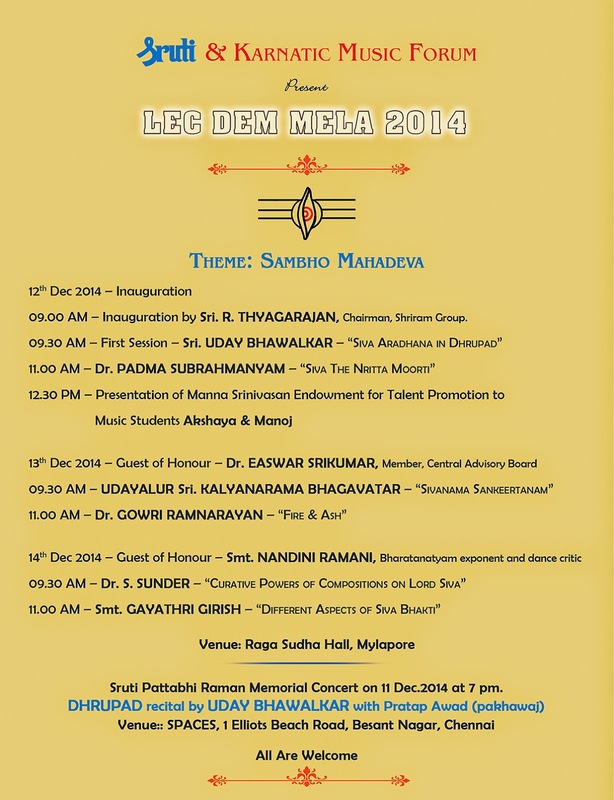 Many of us wondered if the Chennai music season that year could recover from the shock. We in fact feared the cancellation of the whole festival. Our music lovers and organisers however displayed the indomitable spirit only Mumbaiites are normally credited with. From a sombre, subdued start, the season eventually blossomed into its full grandeur, with artists truly rising to the occasion with memorable performances despite heavy hearts. Some years ago, the global economic meltdown threatened to reduce the quantum of sponsorship on offer as well as the tourist traffic to Chennai during Markazhi, and in fact did slow things down for a while. Traffic snarls exacerbated by citywide digging to build flyovers and the rising cost of accommodation and local transport contributed substantially to the downturn as well. The negative trend seems now to be a thing of the past, and well-heeled and well-intentioned individuals have been vying with corporations Indian and multinational to loosen their purse strings with unprecedented generosity, judging by the size of the grants and endowments coming the way of arts institutions like the Music Academy. A consequence of all this largesse has been a noticeable improvement of the living standards of artists and a greater sense of security overall amidst musicians in particular. No account of the Chennai season can be complete without reference to the gastronomical treat it offers. For a whole month, hordes of food lovers frequent sabha canteens in search of the perfect meal. And they are not often disappointed. Unfortunately, a slightly jarring note has been struck this season: the news that the canteen at the Narada Gana Sabha may not be manned by Gnanambika, their traditional vendors. That is hardly music to the ears of their fans who have voted them the best in the business season after season. In an otherwise vibrant cultural scenario, Hindustani classical music has visibly (and audibly) gone into decline in Assam. This is a great pity, for at one time this was a flourishing art form in these valleys, and many recollect the All Assam Music Conferences with nostalgia and pride. There was a time when there were three nights of all-night performances, but now you are hard pressed to find even a single evening’s show of the genre in the city. This is all the more surprising because other categories of the performing arts – even traditional music and dance, – flourish here. There are of course, several reasons for this, of which the insurgency related unrest is but one. Who, in this troubled region would risk organising an evening’s programme, when a chance bomb blast or bandh call could result in cancelling the programme at the last moment? It was therefore a welcome development when the North East Centre of the Sangeet Natak Akademi organised Surangan – a festival of music, on 11th and 12th October at the SNA NEC Hall. The six artists featured in the festival are all well known, and committed to keep the flame alive in this strife torn land. After the formal inauguration by renowned artist Prabhat Sarma, violinist Bidyut Misra opened the programme with four compositions in raga Bilakshana. The two percussionists who accompanied him on the tabla, Sudip Sarkar and Tirthendu Bhattacharjee, added energy to the concert. His was a mature, balanced performance, showing mastery over his medium. Jayaprakash Medhi’s vocal recital with Pankaj Sarma (harmonium) and Nitul Krishna Goswami (tabla) was followed by a sitar concert by Nabin Rajkonwor. His Keeravani reflected the trademark sweetness of his guru Monilal Nag’s playing. He concluded with a dhun, ably accompanied on the tabla by Subrata Chakravarty. The second evening began with a mellifluous exposition of raga Bhoopali by flautist Deepak Sarma. His comprehensive and nuanced demonstration of the pentatonic raga impressed the listeners, who frequently broke into spontaneous applause. He was ably accompanied on the tabla by Dhriti Gobinda Dutta. This was followed by a vocal recital by Jiten Basumatari, known for his beautiful renditions of bhajans. He has a full bodied voice honed to a mellowness that appeals to listeners. His tabla accompanist was Dibyajyoti Sangmai, who gave sensitive support, as did Bhupen Nath on the harmonium. The festival concluded with a sarod concert by Tarun Kalita who played Jhinjhoti in Jhaptaal and Teentaal. Though marked by vigorous stroke play, the rendering was pleasingly melodious. After a few more compositions, he ended with Omor aponar dex, in which the audience joined in. He was ably accompanied on the tabla by Debashish Bhattacharya. During the festival, it was encouraging to see the hall overflowing with connoisseurs of music and musicians. It was heartening also to note that the audience had a sizeable section of youngsters and children. This augurs well for Hindustani classical music in the region, and we hope the Sangeet Natak Akademi will organise such festivals from time to time. Sri K Rama Rao, a product of Kalakshetra and elder brother of the late Adyar Lakshman, is a vocalist, nattuvanar and gottuvadyam artiste. He fondly recalls his early years in the institution and his many decades of singing and nattuvangam with his brother. 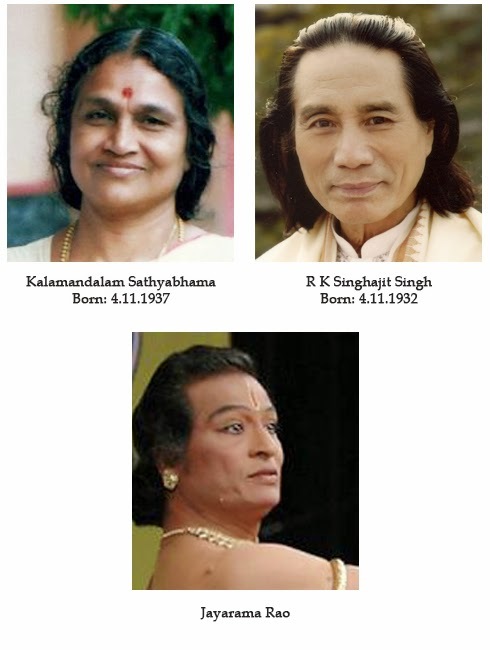 Can you recall your entry into Kalakshetra? The manager at Kalakshetra was known to my family and Rukmini Devi had asked him to find some boys who could sing and whom she could train for her work. Spotting my brother Lakshman and me at a Sai bhajan session in Andhra, he requested my father, a Katha Kalakshepam artiste to send us to Chennai. 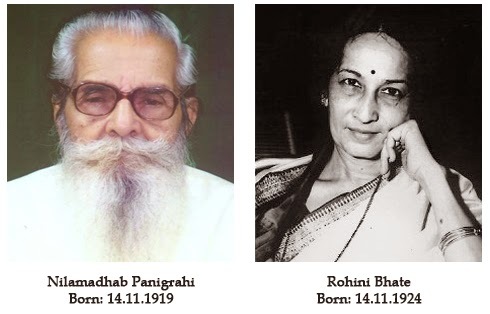 My father readily agreed and mentioned another talented singer, Pasupati (who had been his student in high school) and suggested his name too to meet Rukmini Devi at Kalakshetra. That was how the three of us, Lakshman, Pasupati and I came to Kalakshetra. Rukmini Devi heard the three of us sing and was very happy. I came to Kalakshetra in 1944 and was there till 1964 or so. I was on a central government scholarship of Rs. 250. I sang before Tiger Varadachariar for final approval and trained under Budalur Krishnamurthy Sastrigal for many years. What did you learn besides vocal music? I also learnt to play the gottuvadyam. Unfortunately a nervous debility made me give up playing the instrument. I also learnt violin for sometime, and Bharatanatyam up to the tillana, though I never performed. Nattuvangam was also part of my training. I had the good fortune of learning nattuvangam from KN Dandayudhapani Pillai. You must have special memories of your years in Kalakshetra. In the initial phase of my training, Rukmini Devi called my father for a meeting and told him that I was not showing much promise in my learning. Lakshman, my younger brother was an all - time favourite as he was a vocalist, mridangist and also dancing by then in her productions! My father was disappointed on hearing that I was not making much progress, but Rukmini Devi agreed to give me one more try when the Sanskrit scholar at Kalakshetra , Adi Narayana Sarma, asked her to give me some more time. That was how I joined Budulur Sir to learn the gottuvadyam; he did not have any disciples then. Under his tutelage, I even performed a kutcheri in gottuvadyam. It must have been a wrench to give up the gottuvadyam because of your health problem. Yes, it was, but meeting Budalur Sir and training under him was a turning point in my music for me. 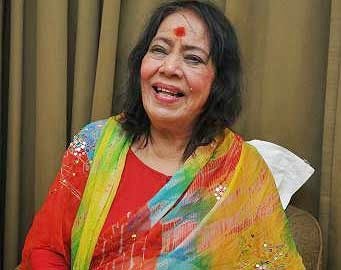 When Rukmini Devi said I might have to leave Kalakshetra if I did not improve in my music, I was upset and disappointed. Coming under his wing at this time was a blessing. He was sceptical about my learning the gottuvadyam, a difficult instrument to master. Unlike the veena, it has no frets and learning the swarasthanas was a difficult task. However, he agreed to teach me and I trained intensively with him. I practically lived in his house and played only swaravali varisai for hours on end for three months. I had good sruti gnanam and that helped me. Sir was happy with my progress. His ‘besh’ was like nectar to my ears! 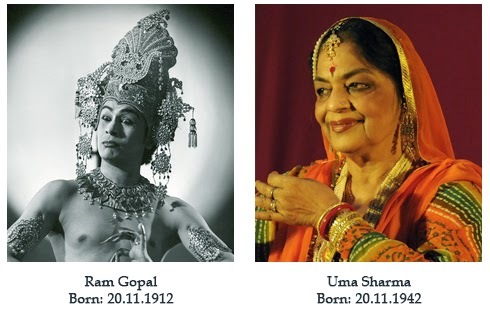 Were you singing for Bharatanatyam at that time? During my stint in Kalakshetra, I taught music in Besant school along with Padmasani teacher. I sang along with Pasupati for Rukmini Devi’s Kumarasambhavam and Kuttrala Kuruvanji. 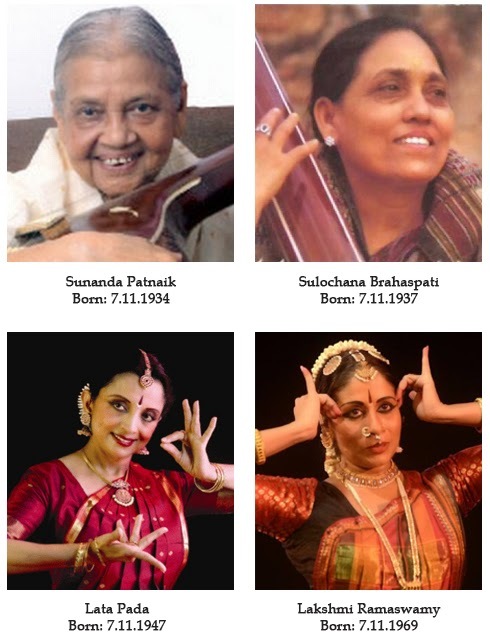 After Kalakshetra, where did your music take you? 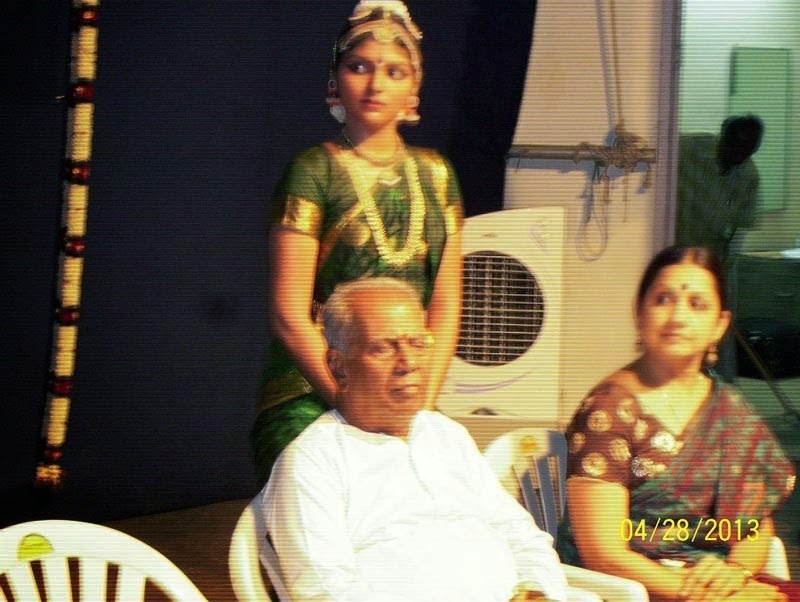 Lakshman started Bharata Choodamani, a Bharatanatyam academy in Adyar in 1974. From the beginning, I was part of his school and he was such a big support for me. He even helped me look after my family for sometime. I sang for all his arangetrams. We travelled a lot. Have you worked for any other institution? I performed in Sri Lanka once when Mrinalini Sarabhai was visiting there. She heard me sing and asked me to join Darpana in Ahmedabad. I worked there for a few years singing for their productions and teaching. I worked in Delhi for Komala Varadan and did many kutcheris with her. Lakshman was singing extensively for Vyjayantimala at one time and when they travelled, she needed someone to look after her school in Chennai. That was how I came back to Chennai to teach in her school. I am contented with the years I have spent with my brother Lakshman. I miss him very much now. "Let's imagine a group of ultra-intelligent extraterrestrials who visit earth and find themselves at a cricket match. I'd submit that, given sufficient time, .hey would be able to deduce the rules of the game in their entirety (even the lbw law) from direct observation, without the aid of a native interpreter. The mechanism of the competition would become intelligible to them: runs and Wickets, overs and innings, the 11 ways of getting out, the no-ball, the draw. "What would remain a mystery to them is: why? Why did earthlings expend SO much time and passion on this apparently pointless exercise? What purpose did it serve?" These are the opening remarks of an article "Why Cricket" by Mike Marquesee in The Guardian, an article in which the American-born author, journalist, political activist and cricket writer explains the beauty and mystique of the gentleman's game. This led to a related train of thought. What would a Martian make of our December season were s(he) to land somewhere near the Music Academy one December morning, and were to be taken on a conducted tour of the multitude of sabhas in the city, I have often wondered. About the only similarity to Martian life would be the psychedelic stage backdrops some of our sabhas have been specialising in during the last decade or so. Would the traveller ask the questions we saw in paragraph two above? Would the creature not ask what purpose indeed would be served by all the arm waving, thigh-slapping and constant mike adjustments on the stage? Why would one group of four or five aliens (viewed from a Martian perspective, just as Americans are seen as foreigners by Indians visiting there) go into feverish, frenetic activity a minute into the start of proceedings, watched by another, much bigger group of swaying, arm waving, thigh-slapping, plastic bag rustling, sms texting, raga-guessing , chattering aliens? A little later, why has the drummer suddenly gone silent, and why is the fiddler (by now the ultra-intelligent Martian has figured out these identities) making strange sounds in imitation of the singer? And still later, the most intriguing mystery of all, why are so many aliens staging a walkout while the singer and violinist do some focussed thigh-slapping and the drummer goes into an apopleptic fit? But wait. The December season is all conquering. How long can our Martian visitor hold out against the combined assault of voice, instruments string, wind and percussion, Kutcheribuzz and canteen coffee and asoka halva? Soon like our dhoti- and sari/salwar-clad American and European visitors, (s)he too will succumb to the irresistible charms of the Chennai season, and join the excited band of itinerant rasikas to rush from sabha to sabha, canteen to canteen. All conquering, did we say? Almost, but not quite. We may be able to convert Mesopotamians and Martians, but there is one immovable species of Indian whom Carnatic music can never hope to sway. And that is the hardened Hindustani music aficionado. 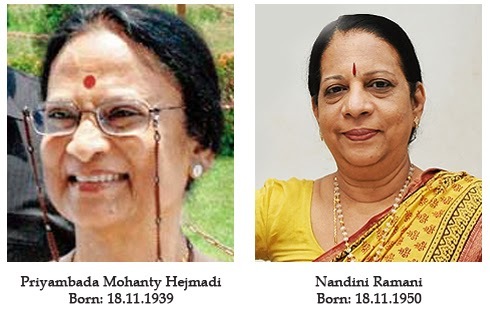 Those born north of the Vindhyas have been immune from time immemorial to the appeal of Carnatic music. For them, a south Indian cutcheri is still a percussion ensemble accompanied by fast paced singing or loud instrumental music. Are the two Indian streams of music total strangers to each other then? No, the twain do meet, but the traffic is strictly one-way. The Milapfest Institute for Indian Arts (MIIA) was launched on 1st October 2014 by Milapfest and Liverpool Hope University at the University’s Creative Campus in Everton. It was inaugurated by Prof. Gerald Pillay, Vice Chancellor of Liverpool Hope University, and the event was attended by distinguished guests from the UK and India. The guests included Claire McColgan, Director of Culture Liverpool; Desi Cherrington from Arts Council England; members of Milapfest’s board of trustees; the Singh Twins; and members of the staff from three North West universities. The event began with a breakfast reception and a formal inauguration marked by lighting of the lamp. Alok Nayak, Milapfest’s Artistic Director, welcomed and gave an introduction to the Institute. MIIA’s principle donor, R.T. Chari, a well known philanthropist from Chennai, spoke about his intention to support the growth and development of the archives in the institution. He is the founder of the TAG Digital Archives, a vast resource of live music and dance recordings that are now stored in eight computers in the Institute. Dr. Prashant Nayak, executive director of Milapfest, expressed the hope that the Institute would play a major role in the future of Indian arts education in Britain. Vice Chancellor Prof. Pillay unveiled a commemorative plaque and thanked the donors and supporters for participating in the mammoth project. R.T. Chari and TAG Digital Archive Technician, Venkatsubramaniam Anantharaman have played a major role in setting up this rare archive of live concerts collected over the last 50 years. As part of the on-going partnership between Milapfest and Hope University, the new institute will offer students and the public the opportunity to access a vast archive of Indian music and dance resources. It will facilitate specialisation in Indian arts education and host enhanced higher education through visiting faculty, special lecture series, seminars and conferences, as well as the Indika Festival and artistic programme. Milapfest is Britain’s leading Indian arts development trust, producing world class performances, education and artist development opportunities. Its aim is to “unite hearts through arts” by providing audiences, aspiring artists and teachers with memorable and inspirational experiences of Indian arts through a dynamic programme of performances, tours, commissions, festivals and innovative educational projects. Their principal work includes the three-city Indian music concert series Samyo (the National Youth Orchestra for Indian Music), Tarang (the National Indian Music Ensemble), and their efforts to create career development opportunities for young music and dance practitioners of Britain. The Liverpool Hope University also plays host to two international summer schools, Music India and Dance India, and the Saturday school for Indian arts. In partnership with the music department, Milapfest has created the resource website, Instruments India and two studio albums of new Indian music. At present the content of the archives of the Milapfest Institute for Indian Arts includes about 6,000 hours of live music concert recordings, audio files from approximately 10,000 gramophone records, digital videos of Indian classical dance programmes, an extensive CD library of Hindustani and Carnatic music, and a library of music and dance related magazines and books. The Institute will continue to augment its resource materials through donations. The new initiative augurs well for the arts in this age of high technology. In the scenario of cultural globalisation, with boundaries between cultures blurring, the Tamil Nadu Government considers it a matter of prime importance to not only preserve and propagate the rich Tamil culture, but to also create awareness among the youth. Towards this purpose, it has announced specific schemes in the fields of dance-drama, theatre and folk arts. Five dance-dramas and five theatre productions will be selected and given a grant of Rs. 1.50 lakh each. The selected dance-dramas / theatre productions will be staged in a festival which will be mounted and conducted by the Tamil Nadu Eyal Isai Nataka Manram. In the field of folk arts, the Tamil Nadu Eyal Isai Nataka Manram is calling for applications towards costume and instrument – as one-time grant of Rs. 2000 per individual and Rs. 6000 per group, in order to promote traditional folk artists / folk troupes. The last date for submission of applications is 15th December 2014. Applications can be downloaded from www.tn.gov.in/tneinm and www.tneinm.in or collected from Tamil Nadu Eyal Isai Nataka Manram, 31, “Ponni” P.S. Kumarasamy Raja Salai, Raja Annamalai Puram, Chennai - 600 028. Phones: 2493 7471, 2493 6848, 2493 9062. Fax: 044 – 2493 7471. Email: tneinm@gmail.com & tneinm@tn.gov.in. The Tamil Nadu Eyal Isai Nataka Manram also proposes to create a ‘Data Bank of Artists’ – dance, theatre, music, and folk. 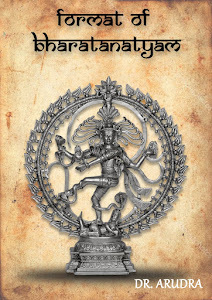 The Manram invites artists to send their detailed bio-data and a short DVD of 15 to 20 minutes to the Manram. (Following the Venkatamakhi convention, the three varieties of rishabha, gandhara, dhaivata and nishada are respectively referred to as ra, ri, ru; ga, gi, gu; dha, dhi, dhu; and na, ni, nu). A historical account of how earlier attempts by Ramamatya and Govinda Dikshitar at a systematic classification of melas culminated in Venkatamakhi’s 72 mela scheme. How the dual denomination of rishabha, gandhara, dhaivata and nishada resulted in 42 more melas in addition to the 30 conventional melas. Vivadi melas are referred to more in the context of the vivada (controversy) they generated than in the context of their alleged vivaditva (dissonance of the intervals between the notes of the scales). Under the dual denomination scheme, the swaras sung were the same but were called by two different names while singing them or describing the scales. Some pre-existing vivadi ragas like Nata were included in the scheme and fitted in at the appropriate place. While singing, one should glide over the vivadi swaras without making them griha swaras but they should definitely be touched so as to establish the identity of the raga without totally avoiding them. The lecdem, as was to be expected from a person of the calibre of Krishnamurthy, was scholarly and interesting. It was, however, oriented more towards giving information rather than discussing issues. Though, like any innovation, Venkatamakhi’s daring dual denomination must have caused raising of eyebrows and led to a controversy, this could not have been the main reason for these melas to be referred to as vivadi melas. The real reason must have been the alleged vivaditva in these scales. Acoustics has identified three phenomena known as consonance (samvaditva), assonance (anuvaditva) and dissonance (vivaditva). These are essentially objective physical phenomena based on the interval between notes which are sounded together. But the human mind subjectively perceives them as pleasant, moderately pleasant, and unpleasant respectively. This perception, in turn, is based, respectively, on whether one hears ‘beats ’ strongly, moderately or not at all. A relationship of fourth or fifth like sa-ma or sa-pa is samvaditva; intervals like sa-gi, ma-dhi are anuvadi, and all semi-tone intervals are vivadi according to this perception. Since the so-called vivadi melas involve singing the semi-tone intervals, they are called vivadi melas. The question then arises: how come melas involving singing sa-ra, gi-ma, pa-dha and nu-SA are not called vivadi melas though all these are adjacent notes? Some musicians are so allergic to vivaditva that they suggest even in krama sampoorna vivadi melas, the skipping of one vivadi swara in the arohana and the other in the avarohana, thus virtually converting some vivadi ragas into bhashanga ragas. Would this not involve giving up the very concept of a vivadi raga? Tyagaraja, in Jagadananda karaka, has virtually avoided ru in the arohana and did not use dhu, a classic example of how lakshya always supersedes lakshana in our music. The convention of calling the same note by two different names seems important only in vocal music (and that too only when swaraprastara is done) and not so much in instrumental music in which we hear only sounds and not the names of notes. In fact, Hindustani vocalists do not bother about the dual denomination and freely sing both versions of the same note successively. The dual denomination may cause confusion – does a vocalist sing suddha Dhanyasi as sa gi ma pa ni SA or as sa ru ma pa dhu SA? Nadamuni Panditar has given a raga with the scale sa ga ma pa na SA which is the same as Suddha Saveri as we know it! This also raises another question: Does the dual denomination merely give two different names to the same note, or does it also involve singing the notes differently (however slightly) when sung under different names? In practice, though sadharana gandhara and shatsruti rishabha have the same swarasthana, the shatstruti rishabha in Nata is sung in a way which does not remind you of sadharana gandhara in Hindolam or Suddha Dhanyasi. This aspect needs further exploration. In order to avoid the type of confusion created by scales like Nadamuni Panditar’s, the late Sangita Kalanidhi T.V. Subba Rao had suggested that the expression suddha gandhara should be used only when suddha rishabha is also present and that the expression shatsruti rishabha should be used only when antara gandhara is present, and so on. There is one scale which Venkatmakhi’s scheme does not cover, and that is the scale containing both the madhyamas. It is said that attempts were made 36 more melas were derived. Maybe because ma is the point around which the 72 melakarta scheme is symmetric and also perhaps because of the difficulty in singing many ragas containing different types of notes, these melas did not survive. The only scale which seems to have survived and entered the Carnatic system via the Hindustani system is Lalit. 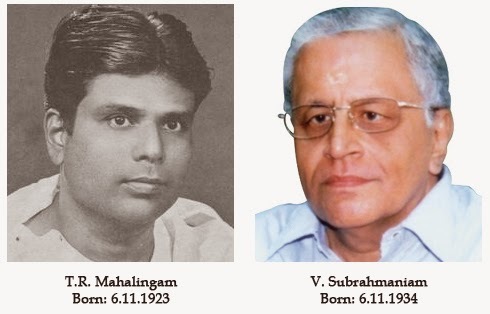 Venkatamakhi himself was against two successive notes being given the same name as it would make vocal singing somewhat uncouth and confusing, if not difficult, and that is why he adopted the dual denomination. Had he had wanted to rope in the scale with two madhyamas, he would have had to invent a fourth variety of ga or a second variety of pa! 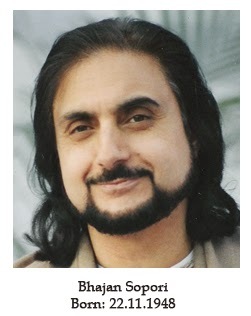 There is also a view that concepts like consonance, assonance and dissonance are relevant only to polyphonic and chord-based music systems and not so much to a linear, melodic system like Indian classical music, especially vocal music where two or three notes are rarely, if at all, sounded together. In melodic music, notes are sounded not together but successively, and in classical music notes are more often than not embellished with gamakas. The concept of gamaka clearly negates the concepts of pure consonance or dissonance. Is the concept of vivadi dosha, then, an irrelevant concept carried over into our music from Western music? Perceptions of pure consonance and dissonance are the basis for simple, elementary musical enjoyment. Jazz and pop music have accepted dissonant chords as a deliberate, sophisticated effect in their total system. Classical music is not a simple, linear extrapolation of the enjoyment of sweet, consonant sounds one likes to hear in simpler music systems. It involves acquiring a sophisticated taste for liking and appreciating what may not immediately appeal to simpler musical instincts. There is a special beauty even in the so-called vivadi intervals. In fact, the term ‘vivadi dosha’ is a value-laden term which invites you to reject it. Creating and relieving musical tension alternately is the key to soulful music and I do feel that both samvaditva and vivadi intervals have a complementary, symbiotic role in this. There is a very interesting explanation given by the late Lalgudi Jayaraman as to why certain melas became not only popular but the kingpin of any impactful concert and why other melas have not acquired this status. Historically, our music has started with a few scales (known as jatis and later as gramas) and new scales were obtained primarily through modal shift of tonic or graha bheda. It is found that scales and ragas accepted today as major, have vast exposition potential and aesthetic appeal and dominate most of the concerts (like Kharaharapriya, Kambhoji, Sankarabharanam, Kalyani, Mayamalayagaula, Todi, Harikambhoji), produce more ragas by graha bheda than any other scales. That is to say, a scale which produces, say, six more ragas by sruti bhedam will always be more popular and prevalent than a scale which can produce only one or two ragas. 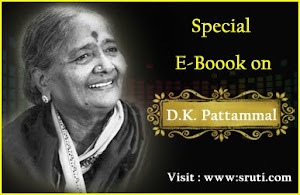 That is why the scales Todi, Kharaharapriya, Sankarabharanam, Harikambhoji, Mayamalavagaula, Kalyani and Natabhairavi are sometimes referred to as the seven pillars of Carnatic music. It is in this respect that the vivadi ragas seem to suffer from a handicap. Too short an interval between notes does not conduce to a fertile sruti bhedam. In other words, the samvaditva and sruti bhedam potential seem to be positively correlated. This explanation of Lalgudi seems to be more interesting and insightful than the usual criticism of vivaditva. The fact that a raga like Nata was an established raga even before the 72 melakarta scheme was evolved shows that our ancestors did not have any bias against vivadi ragas. 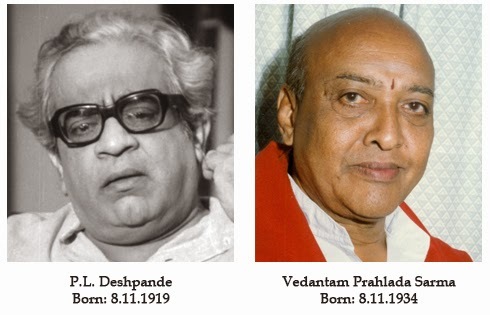 We owe Venkatmakhi a debt of gratitude for opening up a whole new world of vivadi ragas. To forego 42 melas merely because of a narrow conception of what is aesthetic and what is not, is to commit musical suicide. As Balamurali once said, “Some musicians sing even samvadi melas with a ‘dosha’; some others sing even vivadi mela with a ‘tosha’. 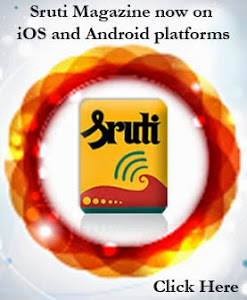 Sruti has joined hands with TAG Corporation and Karnatic Music Forum, both involved in promoting Carnatic music, to conduct an annual Talent Hunt to spot five top voices in the field of Carnatic music. The first TALENT HUNT will be held from 12th to 17th January 2015 at TAG Centre, Alwarpet, Chennai. Out of the applicants, 18 will be selected to perform for an hour each during the January 2015 event. The top five voices of 2015 to be selected by a panel of experts, will each receive prize money of Rs.5000 and a citation. 1. The artists (boys or girls) must be below the age of 25 as on 1st January 2015. 2. The CD must contain one classical kriti with raga alapana, niraval and swaras for a maximum duration of 25 minutes, and a light classical song. The total duration of the CD should not exceed 30 minutes. 3. 30th November 2014 will be the last date for receipt of applications. 4. 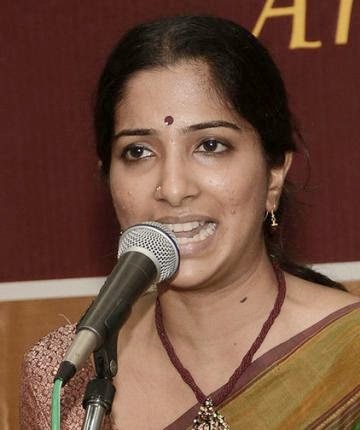 The applicants should not have performed in the December Music Festival concerts of any of the major sabhas of Chennai. 5. During the hour-long performance, the selected applicant is expected to present a mini concert that will include raga alapana, niraval and kalpana swaras. 6. Proper vocalisation will be an all-important criterion in selecting the top five. Open-mouthed, akaram-oriented singing will be a must. Note: Violin and percussion accompaniment, to be provided by the organizers, will be common for the day’s concerts.